From our founding roots in children’s entertainment, we excel at delivering performances for our guests, throughout our businesses, which underpins our ethos to compete on experience and not price. Providing a magical customer experience is our key differentiator. The group currently operates seven indoor soft play centres, five day nurseries, three laser combat arenas and two outdoor attractions, one being an adventure farm and the other a water park. All venues have their own commercial kitchens driving catering income throughout the group. Outside of our venues, the Partyman Company also owns and operates TeddyTastic – an online wholesale and consumer make-a-bear proposition, manufacturing its own product and marketing through its website. 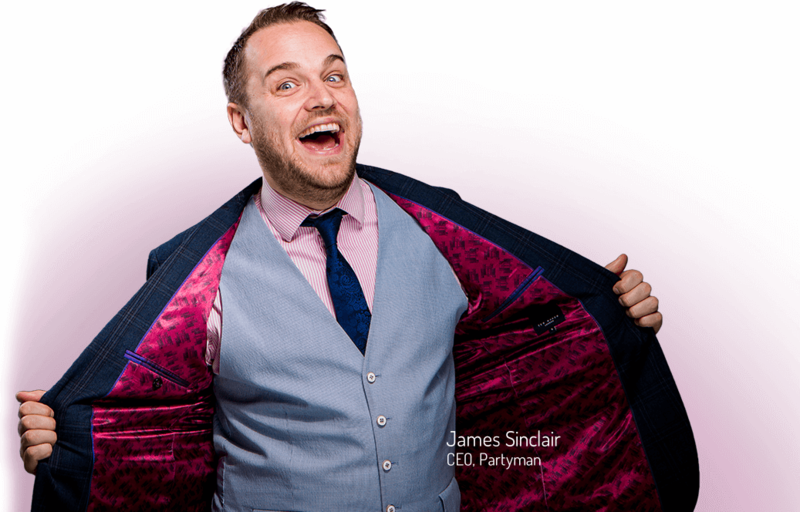 The Partyman Company is owned and inspired by James Sinclair – whose entrepreneurial DNA drives the expansion of the business. Read more about James in here. If you would like to get in touch with us regarding Partyman World of Play, then simply fill in your details below and we will be sure to get back to you.